By hungry runner on February 23rd, 2011 . Filed under: Cupcake Ideas, Reviews . Let’s Eat-Everything Food is a division of Buckets Full of Everything Food. Buckets Full of Everything Food is the creative company of Ilyse Rothman, a food stylist, chef and much more. With years of culinary experience behind her she has spent decades perfecting the her skills in the kitchen. Now she brings us cupcake sized cheesecake minis. Included in the review package was two mini cheesecakes and a sample of cinnamon caramel crack corn, taste bud crack corn that is. The savory popcorn mixed with the sweet caramel and spice from the cinnamon was addictive and could have easily been finished in one sitting. After sampling the popcorn I had a feeling I would not be disappointed with the cheesecakes. As a huge cheesecake fan, I even had cheesecake instead of birthday cake one year, I can honestly say this is good cheesecake. 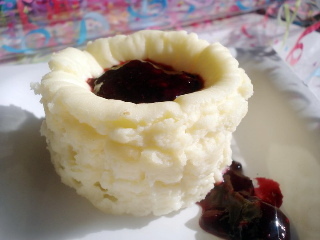 The mini cheesecakes had wonderful flavor, in addition to good mouthfeel and texture. They were smooth and creamy but not too soft. Similarly the graham cracker base nicely complimented the cheesecake but was not overpowering. I also liked that it held it’s shape and was not too crumbly. This is a product I would recommend to a friend or purchase if I saw them at a local food purveyor. 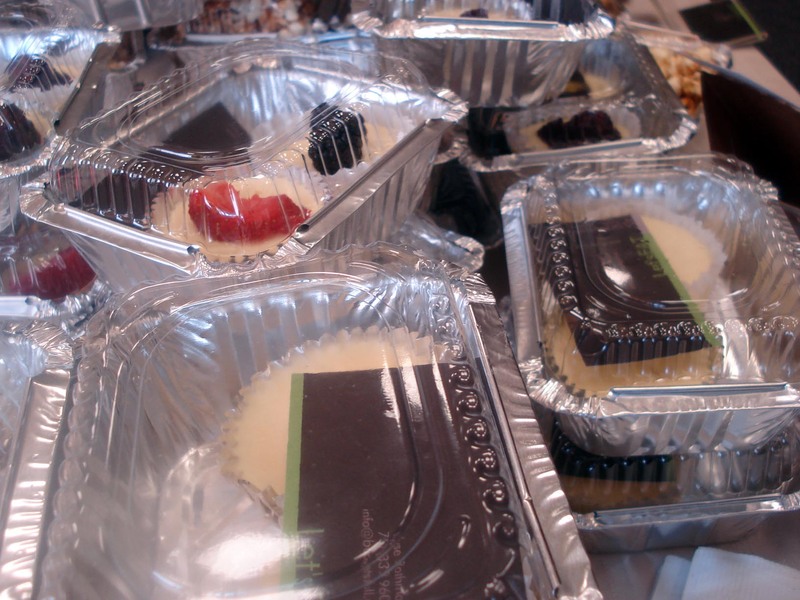 The mini cheesecakes are sold in packages of six for $9.00. The popcorn would be great on top of a frosted cupcake for The Oscars that are coming up. And the mini cheesecakes could be called cheesecake cupcakes and cupcake lovers would be happy! Any cupcake fan will be able to appreciate these delicious mini cheesecakes! Hello webmaster I’m keen on your submit ….